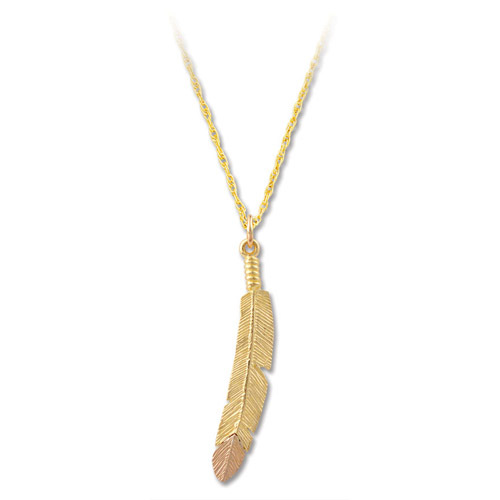 Desc: Landstrom's Black Hills Gold feather necklace. The feather is textured in great detail and is 3 dimensional. Most of the feather is yellow gold and the tip of the feather is rose gold. This necklace is made in the United States of America.